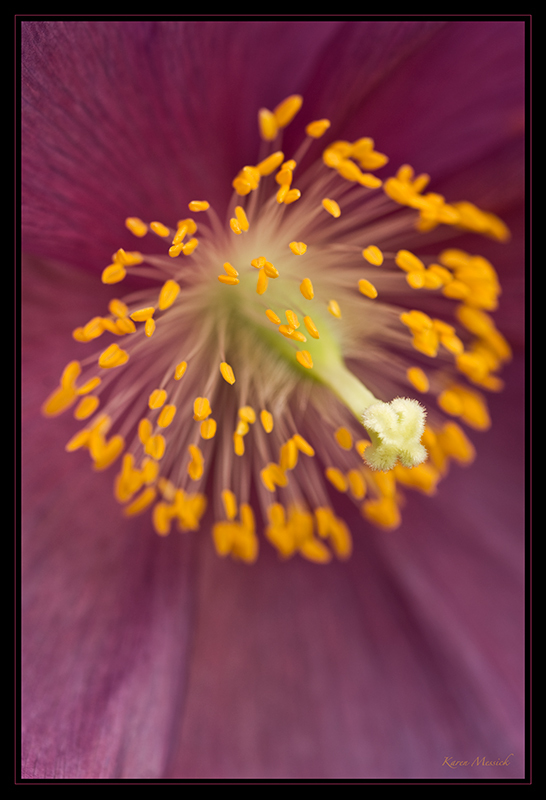 When shooting flowers in such close up work I look for flowers that are either perfectly perfect, or singularly different. Finding the appropriate depth of field for a macro subject is a balance between ISO, shutter speed, to capture a sharp shot when your subject is moving as these poppies were and aperture selection. I normally shoot with a 200mm macro which inherently delivers a shallower depth of field. 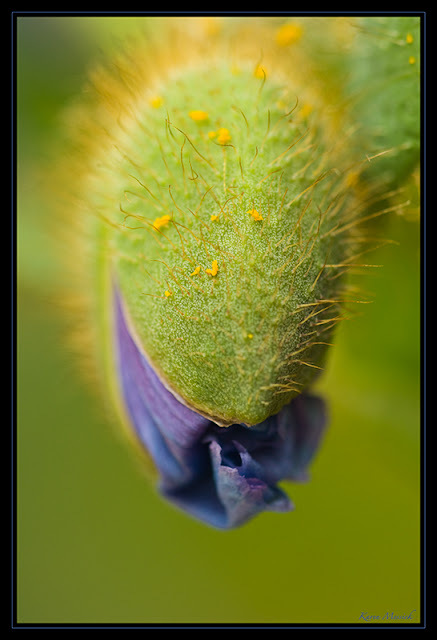 I loved the buds on the poppies and this image about to unfurl had just the right balance for me of sharp and soft focus, highlighting the texture of bud and tip of the emerging bloom. 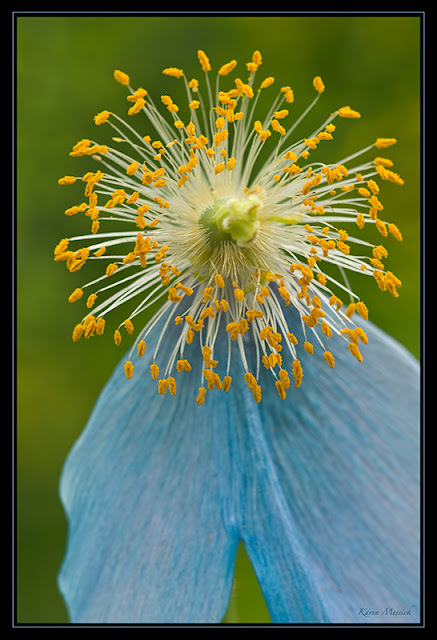 I liked this poppy as it was dropping petals yet the stamens still looked fresh. There were two poppies among the blue ones that had a beautiful dark color. I liked the difference in the color and made a few shots. 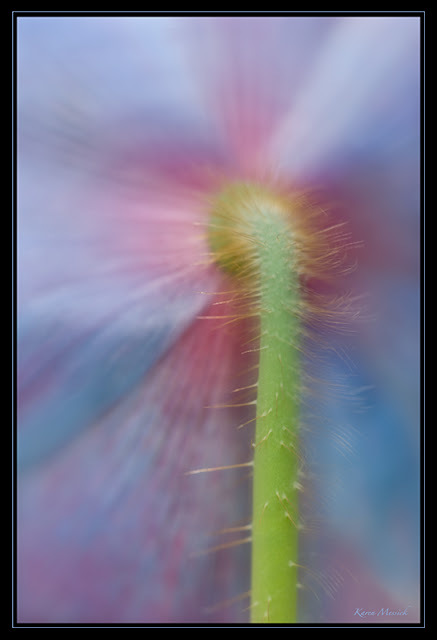 And then I went back to the soft out of focus images that I love for their impressionist quality. I reduce clarity in PS Bridge and then in PS liquefied the petals just a little to enhance the gentle curve. 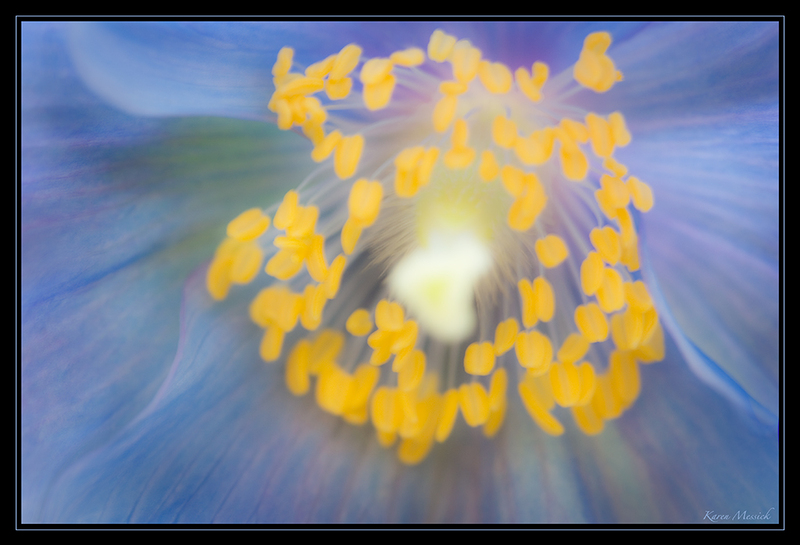 The image below is the back of the poppy shot with in camera multiple exposure set and then blended back with a straight shot...it has little visual vibration..but I liked it. Always new and special, those are Karen's images!